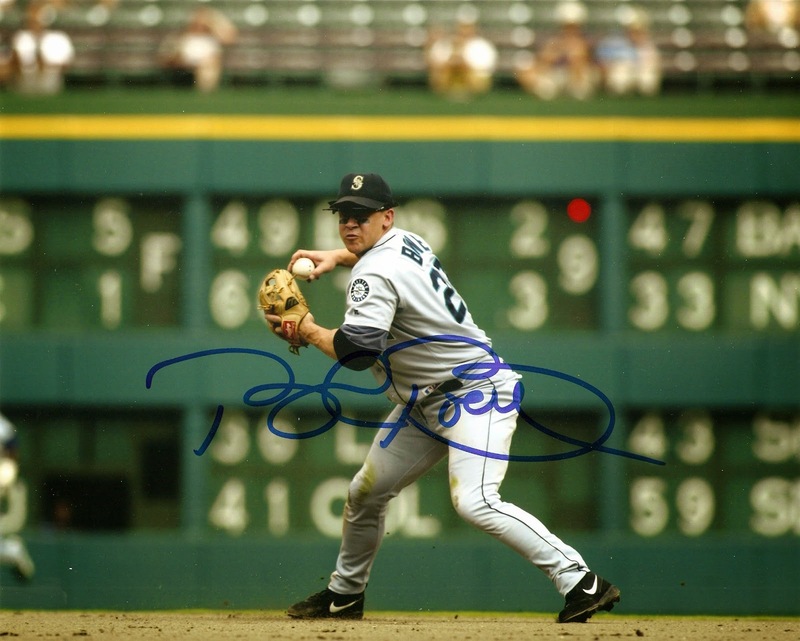 I got a great opportunity for a really nice autograph when my friend, Darrell, who runs Halkman Sports hosted a private autograph signing with Bret Boone. Boone is a 4-time Gold Glove winner, a three-time All-Star, and a two-time Silver Slugger, so when the opportunity came to get a signed item of his, I knew I needed to get something. The photo I got signed of Boone is perfect, as it spotlights him fielding, and looks amazing with the scoreboard in the background.